If you want to build your own website, you can’t go wrong with WordPress. This flexible, powerful Content Management System (CMS) powers over 28 percent of all sites on the internet, making it a leading platform. However, like a TSA agent, it can be intimidating at first glance. Fortunately, WordPress is much easier to understand than your airport’s ever-changing security protocol. With just a brief introduction, you’ll quickly find yourself able to create a stunning website in about five minutes. Plus, you can customize it to meet your exact needs and goals. And you don’t even have to take your shoes off! This article will provide a quick crash course into WordPress, explaining what it is and why it’s so special. I’ll also give you an idea of what this platform can be used for, then show you how to get started with DreamHost. If you’re looking to build your first website, WordPress is an excellent solution. WordPress is a Content Management System (CMS), a platform you can use to build and maintain a website without any knowledge of coding. This software enables you to customize just about every aspect of your site. The first version of WordPress was created in 2003 by Matt Mullenweg and Mike Little. It began as a simple platform designed for people who wanted to create basic blogs and host them on the internet. Over time, however, it’s grown into a flexible, powerful tool for creating almost any type of site. Before moving on, it’s important to make sure we’re on the same page. There are differences between WordPress.com and WordPress.org. The former is a website builder where you can create and host a site for free. It’s simple to use but also limited in what it can do. WordPress.org is a more powerful platform so we’ll be focusing on it for the rest of this article. Many developers, designers, and other people contribute to making WordPress better every day. The first thing you need to understand about WordPress is that it is open-source software. If you aren’t familiar with the term, it means the platform isn’t restricted under copyright or trademark and is freely available for anyone to download and modify (under what is called the GNU General Public License). What’s more, it means WordPress is developed and maintained by a dedicated community. The platform is (and always will) be free to use. Many free and low-cost tools are created for use with WordPress (more on this in a moment). WordPress is designed by its community to be user-friendly and to have the features most needed by website creators. You have a lot of freedom in how you choose to use and interact with the software and can modify it in any way you’d like via coding and other tools. The fact that WordPress is open-source has enabled it to develop a strong, diverse community of contributors and enthusiasts, who regularly gather at WordCamps around the globe. Remember that 28-percent-of-websites stat I threw at you earlier? It’s not a stretch to say WordPress is an incredibly popular platform, and that makes getting help when you need it easy. You can find plenty of online documentation, forums, WordPress-focused blogs, dedicated courses and resources, and much more. No matter what you’re trying to do, chances are someone else has done it before and can help you out. Of course, WordPress isn’t just for beginners! The beauty of the CMS is that it’s able to ‘scale’ alongside its users. As you learn about the platform and acquire new technical knowledge and skills, you’ll be able to do more and more with WordPress. You can create and run a simple blog, but you can also design large, complex websites for businesses and online stores. With WordPress, the sky’s the limit! 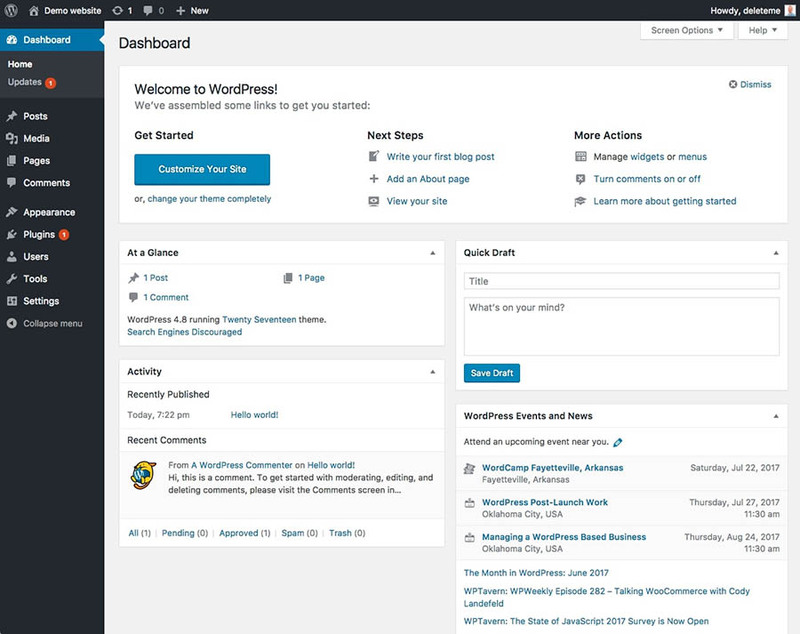 The WordPress dashboard makes it easy to manage everything about your site from one location. WordPress began as a small, blogging-focused platform. This means it has a lot of features that lend themselves to blogs, and it’s perhaps the best solution you can find for that type of site. There’s an easy-to-use editor for creating posts, robust comments functionality, and much more. Online portfolios: With the right WordPress theme, you can showcase your achievements and skills, or display your work and past projects. Affiliate websites: If you want to create an affiliate marketing website (or monetize your site in some other way), the WordPress community offers lots of dedicated solutions. News sites: WordPress’ blog format works well for news articles, and many of the same features lend themselves to both blogging and news sites. E-commerce stores: If you’re running a store online (or planning to), there are lots of WordPress tools to make the job simple (check out our WooCommerce Hosting package to get started). Community hubs: You can easily create forums, fan sites, knowledge bases, wikis, or any other place for like-minded people to gather online. Business sites: Whether your business is large or small, you can share information, provide contact details, incorporate your branding, and build a strong online presence. If you aren’t sure what type of site you want to create yet, you can always start small and scale up over time. It isn’t hard to begin with a simple blog, and turn it into a news or affiliate site whenever you’d like. You can also create a site that fulfills various roles — for example, a business website with an accompanying company blog, as well as a connected storefront to sell your products or services. While many of the sites listed above are made possible thanks to WordPress themes, plugins, and other tools, we’d be remiss not to mention the many features the platform offers out of the box that are useful to all types of sites. Chief among these is the central, user-friendly WordPress dashboard. This is a private admin area you log into, where you can control all aspects of your site from one place. The dashboard is also home to a flexible, easy-to-use editor that makes content creation a breeze. You get access to plenty of settings and customization options so you can make the site your own. Plus, WordPress is designed with performance, security, and Search Engine Optimization (SEO) in mind — crucial elements for practically every site regardless of its size or focus. Last but not least, WordPress offers a wealth of themes and plugins to personalize your experience. The WordPress Plugin Directory offers tools that can add nearly any feature imaginable to your site. changes to the way your site looks and acts, and if you’re comfortable with HTML and CSS, you can make just about any alternations you’d like. If you don’t have that level of technical proficiency, however, you can use themes and plugins to customize it to your exact needs. Themes are pieces of software you can download and install to your site, which change the way it looks. Using a theme, you can alter your site’s layout and appearance and even make some changes to its functionality. Some themes are general-purpose, making it possible for you to personalize your site to match your own style and branding. Others are specific to a particular type of website — so you can find themes perfect for blogs, online stores, portfolios, and just about anything else. Either way, themes usually provide access to a lot of pre-made elements you can mix and match to create a unique look, whether or not you’re a designer. 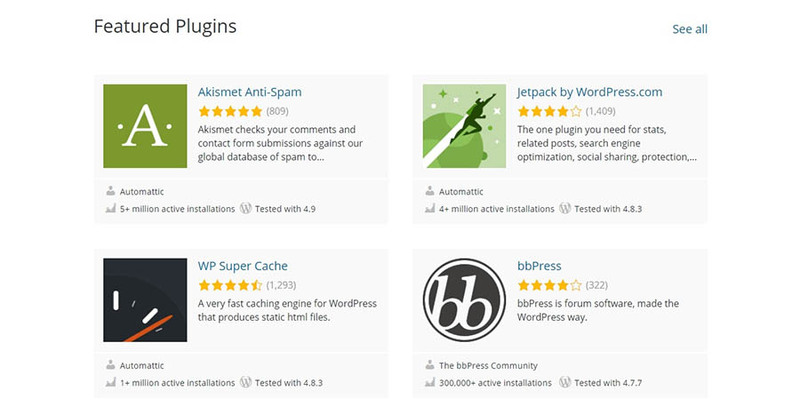 Plugins, on the other hand, enable you to add new features and functionality to your site. You can find simple plugins that add only one new feature, such as a contact form or image gallery, or comprehensive options to make radical changes to the way your site functions. Using plugins, you can build a storefront, enhance security, optimize your site for search engines, create a forum or wiki, and much more. Whatever you’d like your site to do, chances are you can find a plugin to make it possible. There are a lot of places to find WordPress plugins and themes online. If you’re new to the platform, however, we’d recommend starting with the official Theme Directory and Plugin Directory. A few minutes spent browsing through these pages should give you a clearer idea of what WordPress is capable of with just a few modifications. 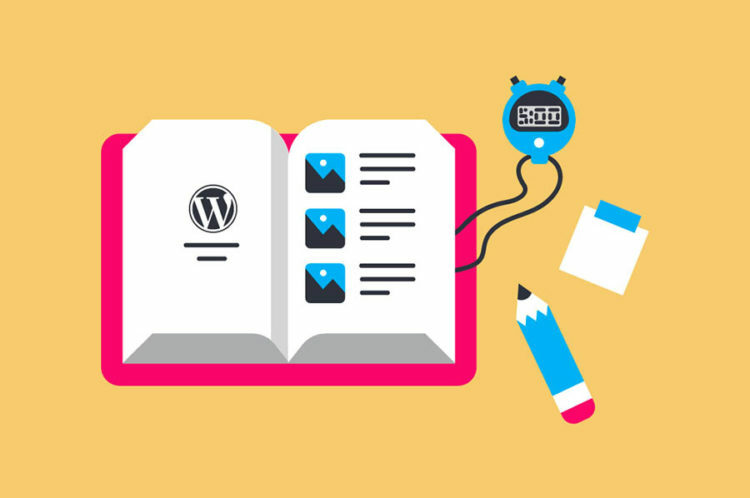 How Should You Get Started With WordPress? Our managed DreamPress hosting plans are designed specifically for WordPress users. Hopefully, by this point, we’ve convinced you that WordPress is well worth trying out. Now what? 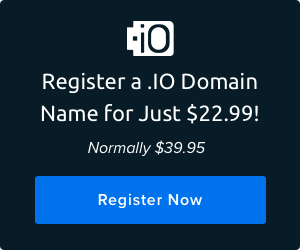 This is the unique web address your site will be hosted at. Try to choose a domain that is unique and catchy but simple enough for visitors to easily remember. You can check to see if your desired domain is available (and buy it) from a domain registrar or from a web hosting company. You’ll need access to a web server — a place where your site’s data and files are saved, which can transmit information across the web to anyone who visits your domain name. This means purchasing a hosting plan. There are many types available, depending on your particular needs and the kind of site you’re creating. Once you have a domain and a hosting plan, you’re ready to download and install WordPress. You can do this yourself, although many hosting providers will offer an easier solution. WordPress-specific hosts (like us!) often offer a one-click installation option. It’s okay to start small with this step. We recommend looking for a quality theme first, then choosing a couple of plugins to add the features you want. You can always install more plugins over time as you need them. If you aren’t sure where to start, there are a handful of essential plugins that are a smart choice for almost any website. There are two main types of content in WordPress: posts and pages (although some themes and plugins add more options). Both use the same beginner-friendly editor, and you’ll find putting together your first few pieces of content is a breeze. Don’t forget to include a contact page so visitors can get in touch! This may seem like a lot of work, but you can get through the first few steps and on to creating content in a matter of hours. However, if you’re still intimidated, that’s alright. One of the best choices you can make to start off on the right foot is to choose a quality, WordPress-specific hosting plan. Take our own DreamPress plans, for example. We pre-install WordPress for you so you can get your site up and running fast. These plans are also ‘managed’, which means we’ll take care of ensuring your site performs well and runs securely — so you can focus on designing your site. If you choose the DreamPress Plus or Advanced plans, you’ll also get Jetpack Professional, a comprehensive plugin that provides SEO and security features, for free. What’s more, we’re happy to help you get set up and answer any questions you might still have about WordPress and web hosting. We have plenty of WordPress experts you can contact through a variety of channels day or night. With our help, you’ll have your WordPress site online before you know it! WordPress is popular largely because it’s a perfect solution for a wide variety of applications. Both beginners and seasoned developers can use it to create small blogs, booming e-commerce sites, and everything in between. What’s more, it is surprisingly simple to get started with. To create your first WordPress site, you’ll need to select a domain name and sign up for a hosting plan (we recommend DreamPress). Then you can install the platform and start customizing your site. Don’t forget to choose a unique theme and pick out some plugins to add key features. Do you have any questions about WordPress, or how to use it to build a website? Ask away in the comments section below!